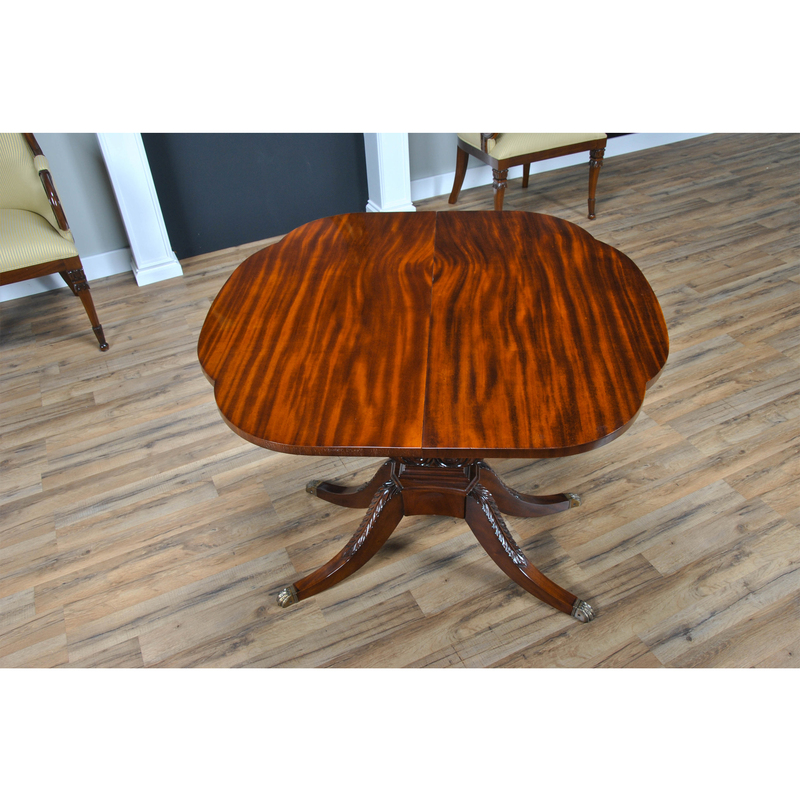 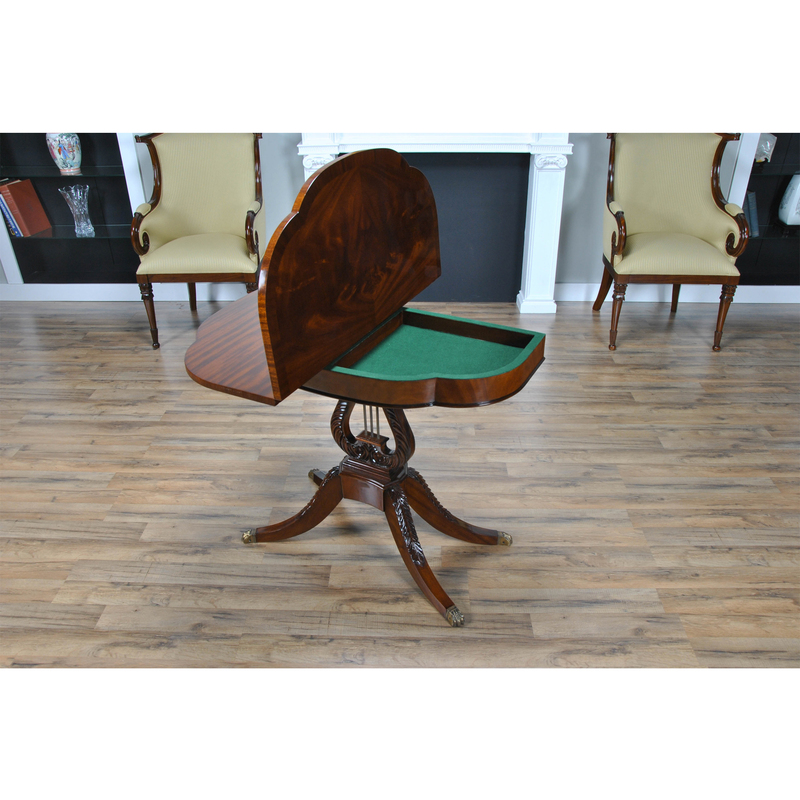 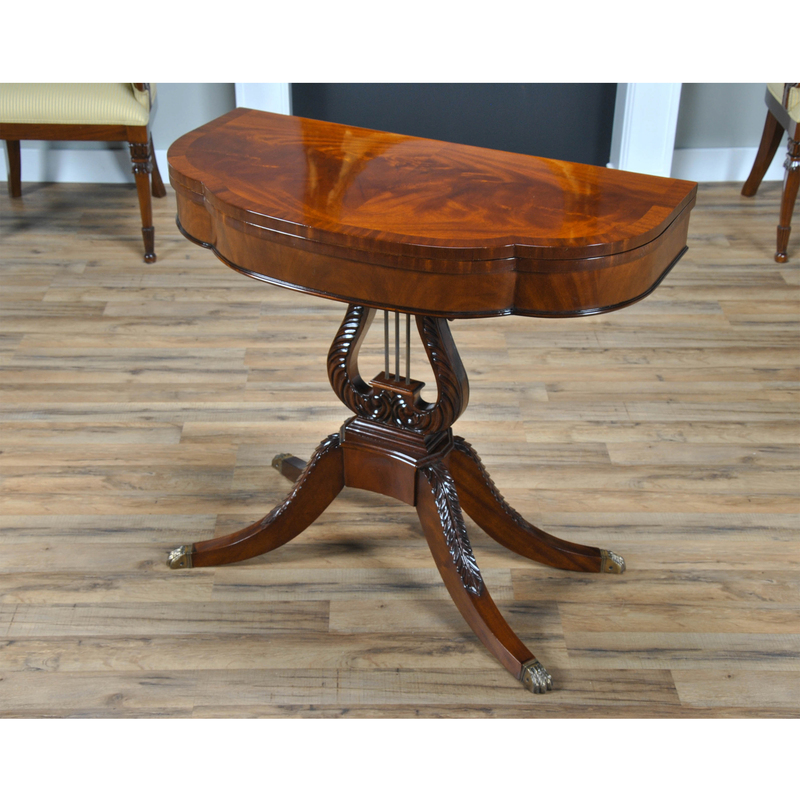 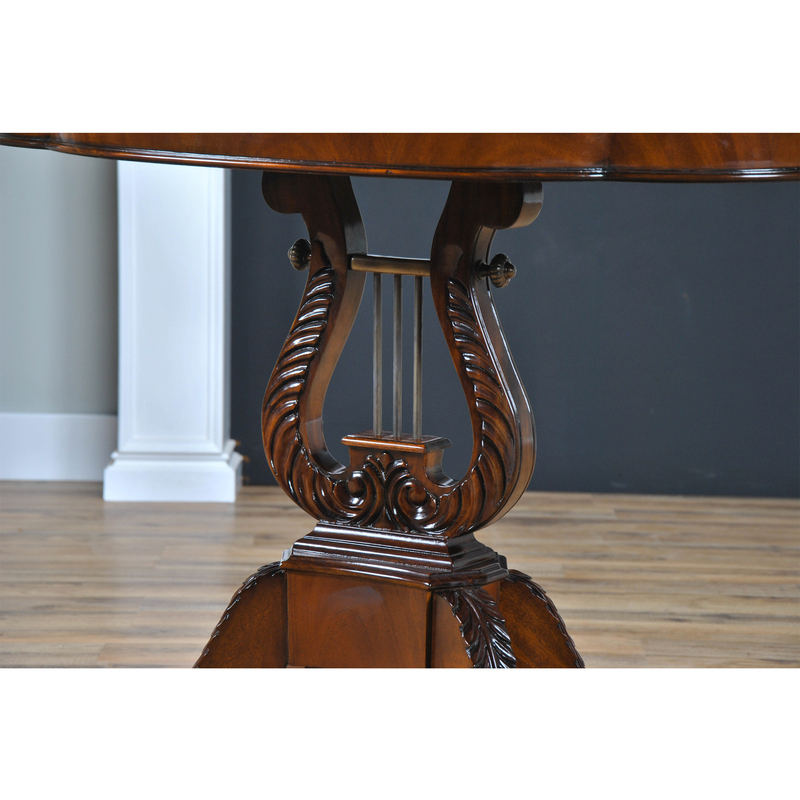 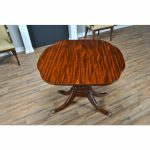 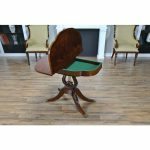 An antique reproduction Lyre or Harp Game Table inspired by a Duncan Phyfe design this high quality item from Niagara Furniture is both decorative and versatile. 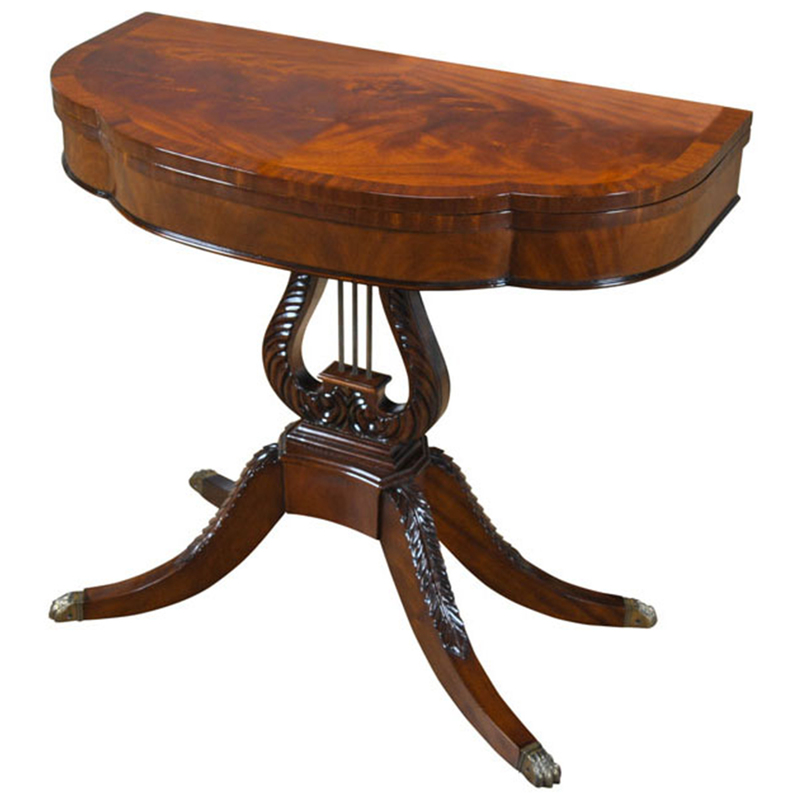 The table can be used with the top in the closed position as a hallway or entrance piece, it can also be displayed with the top flipped back and left open leaning against a wall for a taller look, and the top can also be fully opened and rotated to be used as either an eating or gaming table. 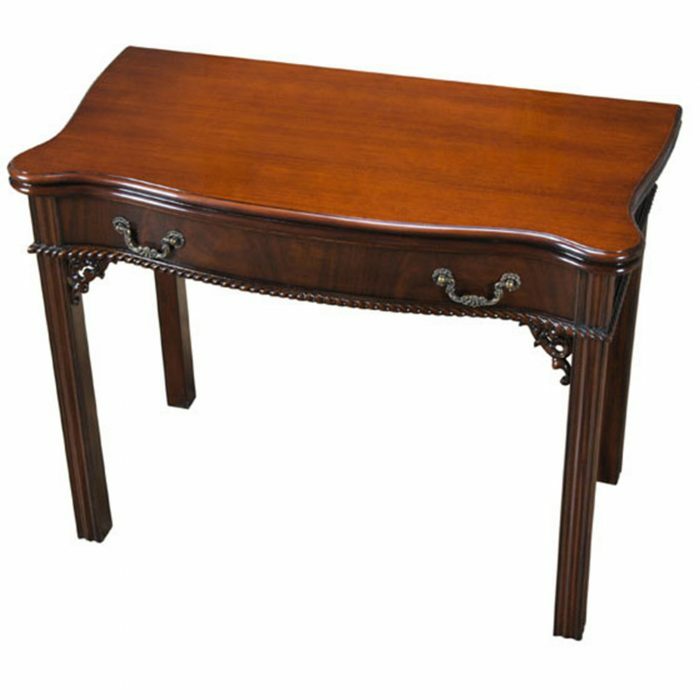 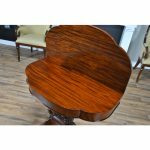 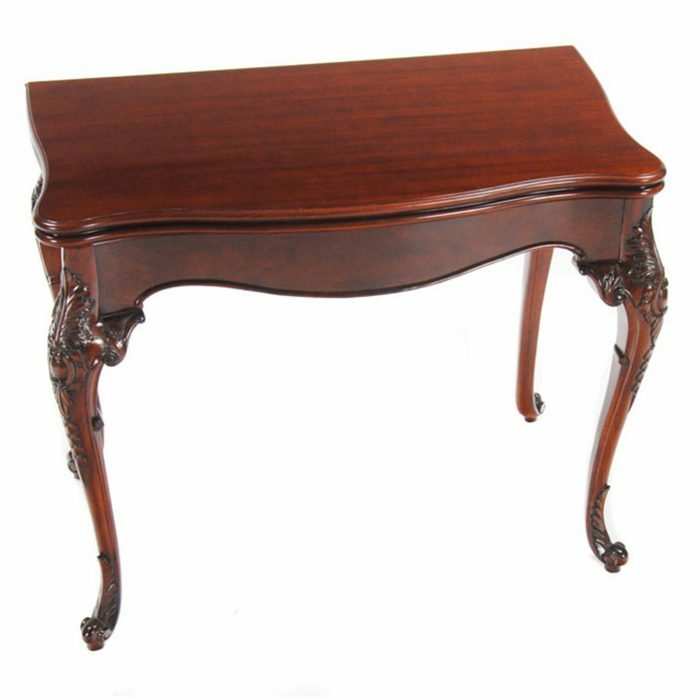 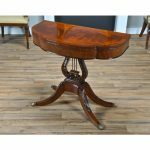 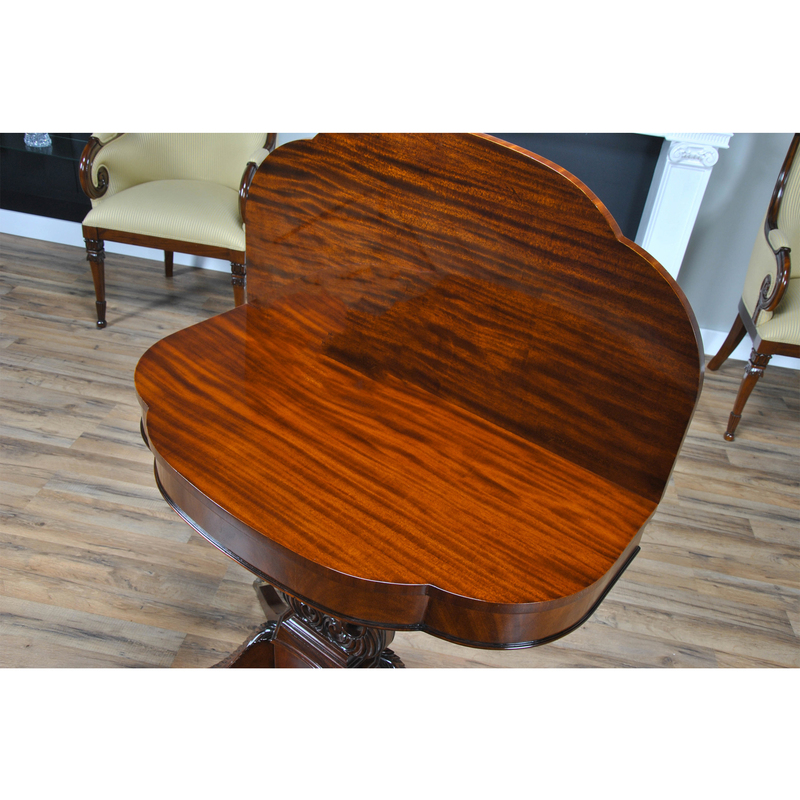 Great quality mahogany solids and veneers are used for the primary construction of the Harp Game Table as well as brass decorative elements in the actual harp and feet.